Welcome to Lake Technical College! You have taken the first step toward what may be the most rewarding decision you’ll ever make and we are glad you chose us! We look forward to the opportunity to help you reach the goals you have set for yourself. For over 50 years Lake Technical College has provided quality education for thousands of students who have gone on to be successful both personally and professionally. The faculty and staff on both campuses and all of our off-site locations are dedicated to making your experience at Lake Tech enjoyable and rewarding. The instructors are experts within their field and will provide the education and experiences necessary for your transition from the classroom to a great career. Our career-technical certificate programs work in partnership with business and industry in our area. The combination of exceptional instructors, great partnerships with business and industry, and industry standard curriculum, equipment, and technology equals SUCCESS! Lake Tech students are well-prepared for their chosen career with both technical and workplace skills by the time they graduate. In addition, we offer GED® preparation, academic remediation, and adult ESOL classes to help all students reach their full potential. 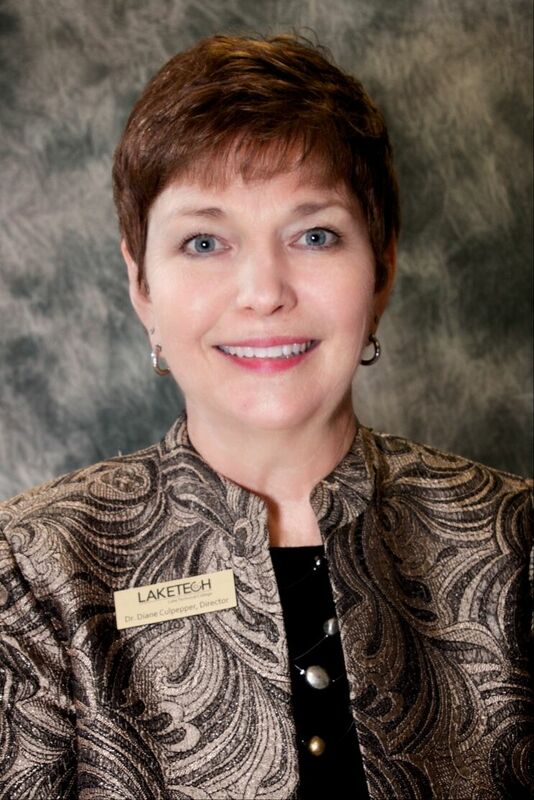 Thank you for choosing Lake Technical College. The best of luck to you as you embark on this journey into your future!